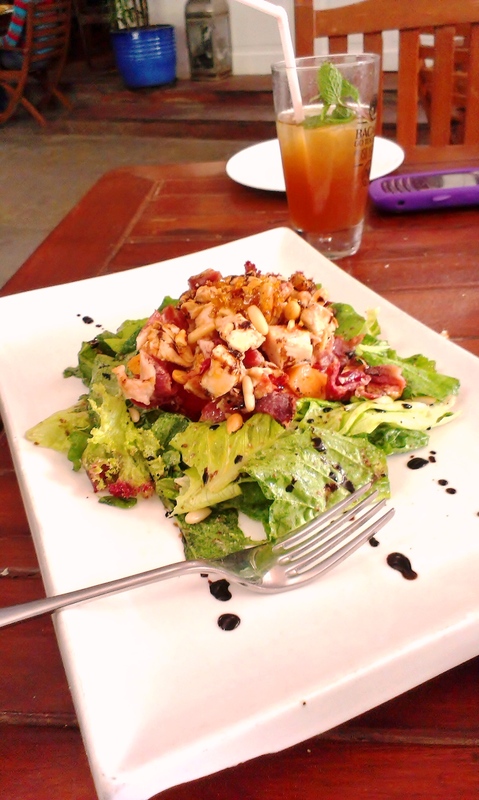 Chef’s Log 21: Sell Your Soul for this Salad | The Spoon From Outer Space. seems to be a variation of sweet, crunchy praline, peanuts, chicken and bacon. At first glance it might seem an odd combination of disparate things, but the flavours blended beautifully, held together by an excellent dressing. The sheer complexity of the dish- its numerous elements and contrasting tastes both perplexed and delighted my palate, making it by far the most interesting meal I have had yet. 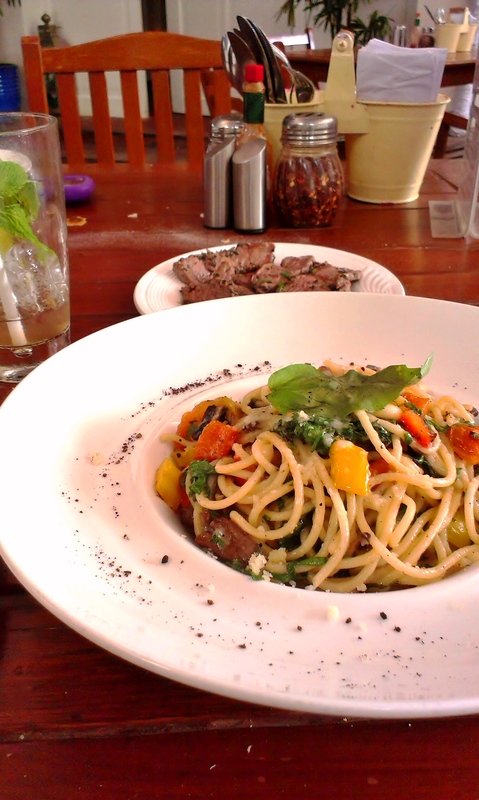 I also sampled the spaghetti aglio e olio with spinach, mushrooms, sundried tomatoes and olives. 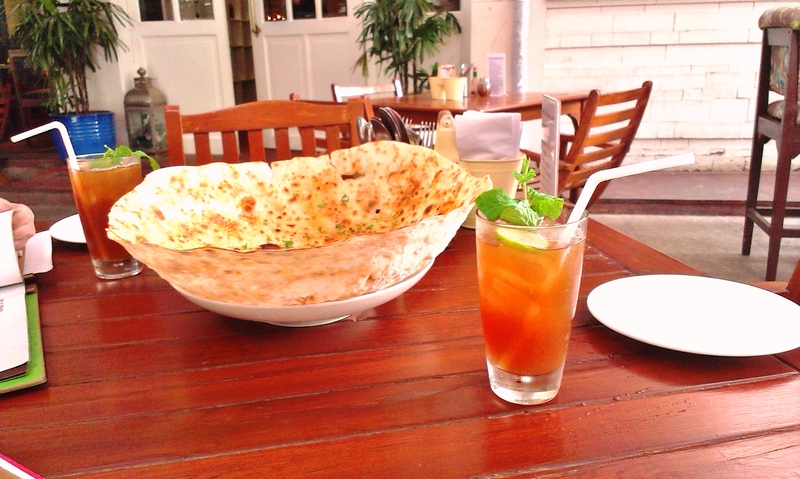 Compared to the previous dish, the flavours were simple, but classic, and it was no less delicious. Terttulia’s steak strips also make for an excellent side dish (Although, I’m not certain, is it unusual for me to consider strips of meat a side dish?). They also have an excellent all-day breakfast menu, and a beautiful selection of desserts. I believe it would be a grave sin for anyone passing through this area to not stop at this marvellous place.